The Anti-Kickback Statute Outlaws Many Types of Referral Relationships among Medicare Providers. However, the Law Establishes a Variety of “Safe Harbors” as Well. 1. The Anti-Kickback Statute Is Very Broad. Unlike the Stark Law that applies only to practicing physicians and their related entities, the Anti-Kickback Statute applies to all types of health care providers. In recent years, we have seen an increasing number of Anti-Kickback Statute investigations targeting pharmacists, dentists, mobile radiology providers, hospices, nursing homes, and home health agencies. The Anti-Kickback Statute also applies to transactions involving funds reimbursed from all federal health care programs, whereas the Stark Law is specific to Medicare and Medicaid. Additionally, the Anti-Kickback Statute applies to referrals for all health care items and services – not just the “designated health services” covered under the Stark Law. 2. A Violation of the Anti-Kickback Statute Can Also Trigger False Claims Act Liability. Since the False Claims Act applies to all “false or fraudulent” claims submitted for Medicare reimbursement, billings that trigger Anti-Kickback Statute liability can also subject providers to civil or criminal sanctions under the False Claims Act. In criminal cases, providers will also frequently face charges for conspiracy, mail fraud, wire fraud, money laundering, and other federal offenses as well. 3. Anti-Kickback Statute Penalties Apply on a Per-Violation Basis. Providers found to have violated the Anti-Kickback Statute can be penalized on a per-violation basis. With each individual patient referral potentially constituting a separate violation and with civil monetary penalties (CMP) of up to $50,000 per violation, providers’ Anti-Kickback Statute liability can easily reach into the millions of dollars. This is on top of recoupments, civil assessments, and the potential for pre-payment review or program exclusion. 4. “Safe Harbors” Scale Back the Anti-Kickback Statute’s Extraordinary Scope. Of course, these are not blanket protections from Anti-Kickback Statute liability, but rather narrowly-defined exceptions to the general rule against Medicare reimbursed referral fees. To ensure safe harbor protection, health care providers must carefully tailor their referral relationships to meet a particular safe harbor’s requirements. 5. The Anti-Kickback Statute Requires Proof of Intent, but Proving Intent Is Easier Than It Sounds. The Anti-Kickback Statute allows for prosecution of health care providers who “knowingly and willfully” engage in unlawful referral transactions. This means that federal prosecutors must prove intent in order to secure a conviction. Unfortunately, while “intent” is entirely subjective and challenging the government’s evidence of intent is often a key strategy in Medicare fraud cases, proving intent under the Anti-Kickback Statute is easier than it sounds. This is the result of changes made in the Patient Protection and Affordable Care Act (PPACA). Under PPACA, prosecutors do not need to prove that a provider specifically knew that a transaction was unlawful. In fact, it is not even necessary for the provider to be aware of the Anti-Kickback Statute. If prosecutors can show that a provider intended to engage in a referral fee transaction, this alone can be enough to establish statutory culpability. In order to defend against civil or criminal allegations under the Anti-Kickback Statute, health care providers must be prepared to effectively challenge the government’s evidence and accusations. And if possible, demonstrate compliance with one of the statute’s safe harbors. This requires a measured and strategic approach and is a task best handled by an experienced Medicare fraud defense attorney. Dr. Nick Oberheiden is a Medicare fraud defense attorney who is highly experienced success record in high-stakes federal investigations. 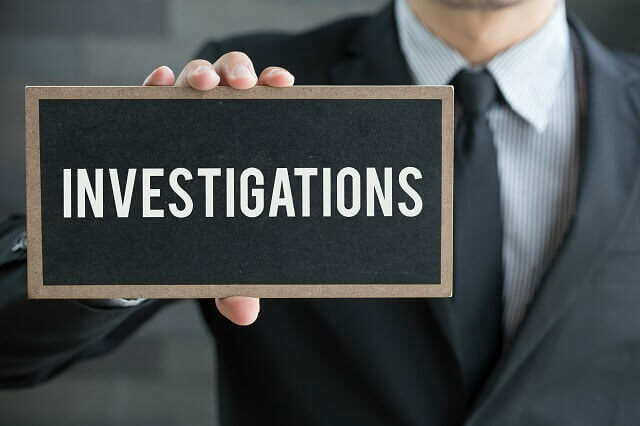 If you are under investigation by the OIG or any other federal agency, Dr. Oberheiden can institute strategies with the goal of protecting your practice, your license, your finances, and your professional reputation. To learn more about defending against allegations under the Anti-Kickback Statute, please call Oberheiden, P.C. at (888) 356-4634 or request an appointment online. We will make arrangements for you to speak with Dr. Oberheiden as soon as possible.